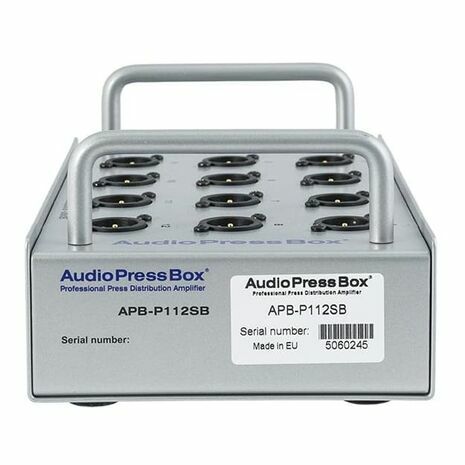 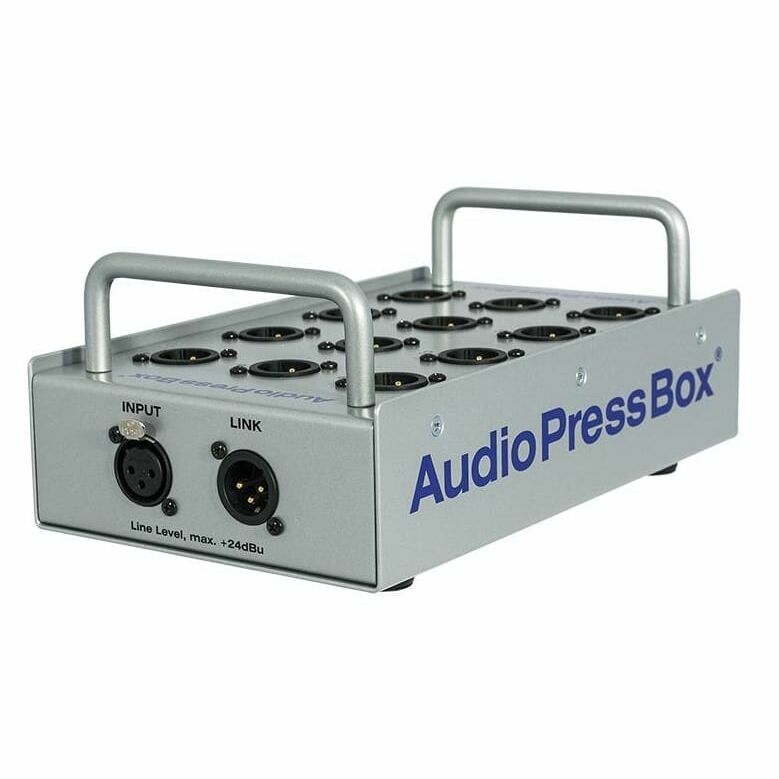 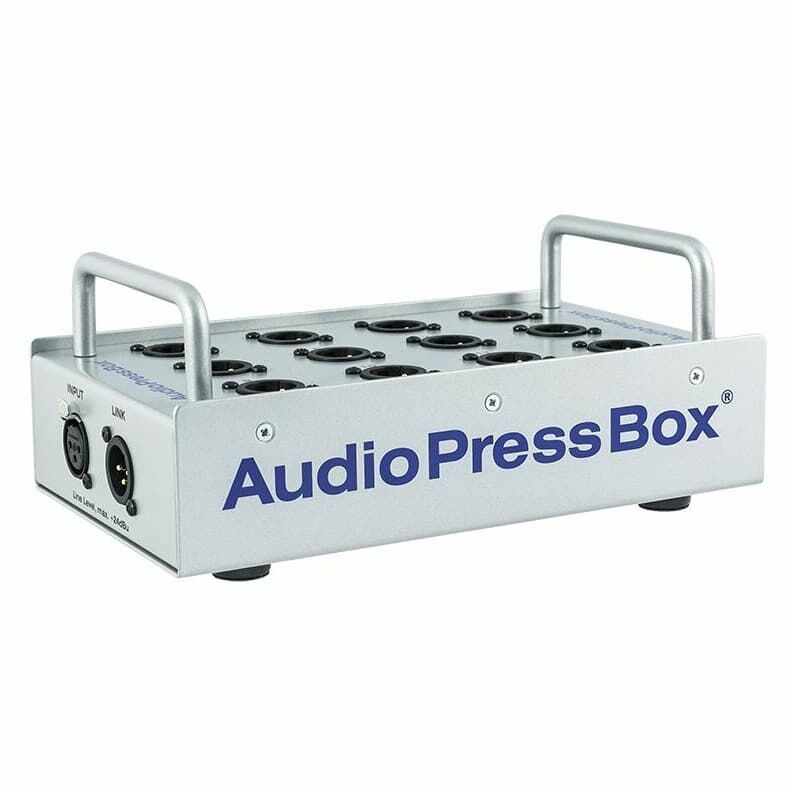 A professional portable passive press box (Audio Splitter) suitable for both indoorand outdoor press conferences. 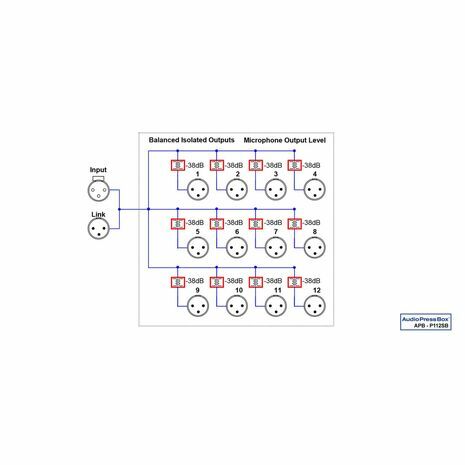 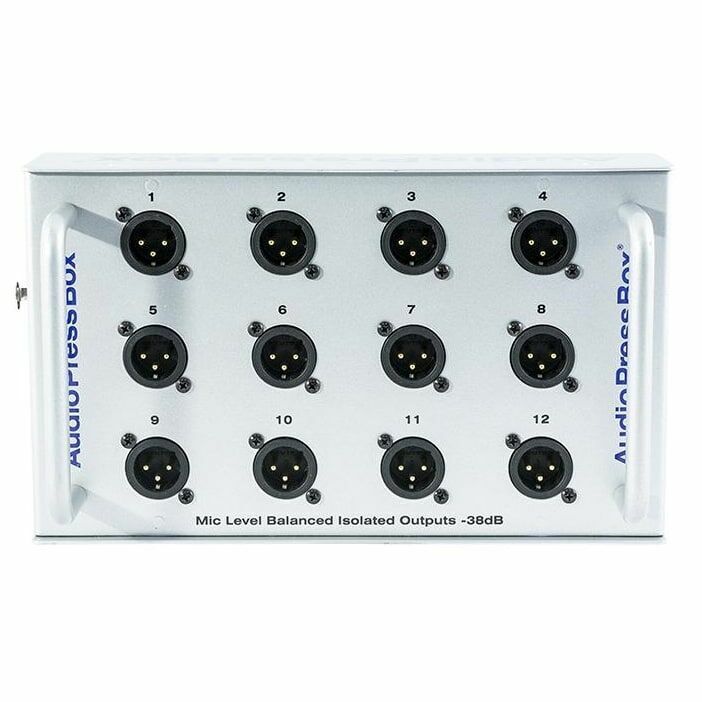 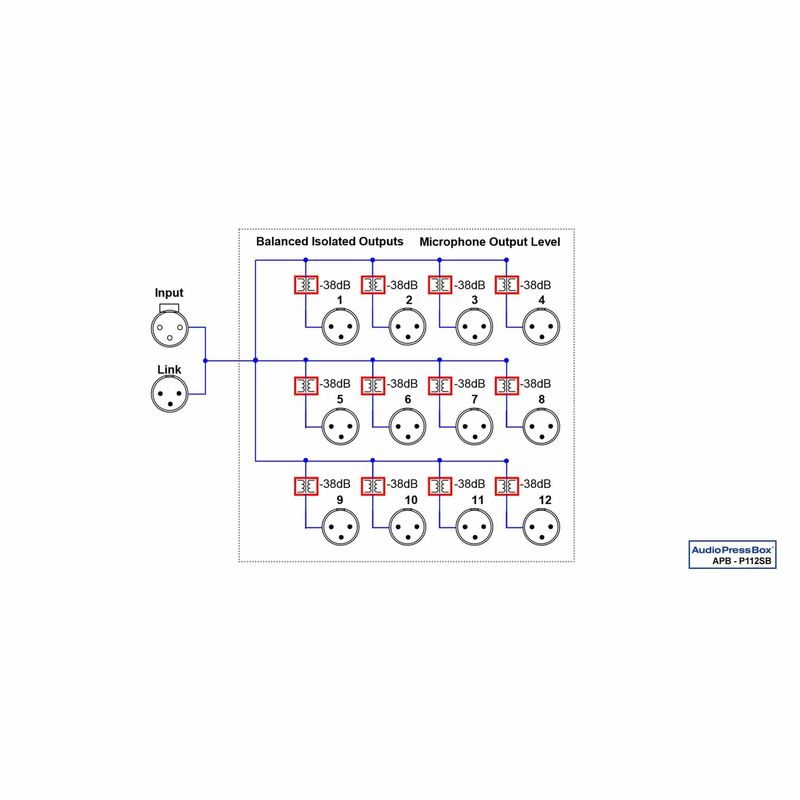 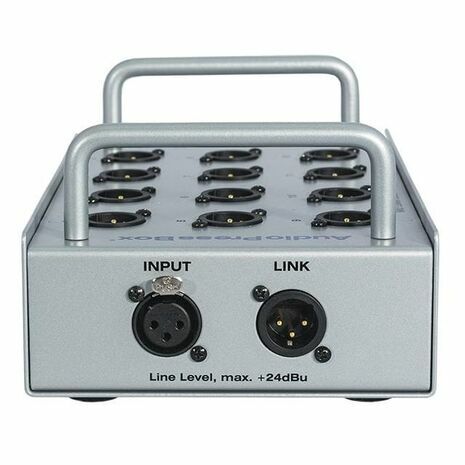 It features 1 Line Input and 12 MIC outputs. It also has a link Output so you can daisy chain more of them in a row if you need additional MIC Outputs. 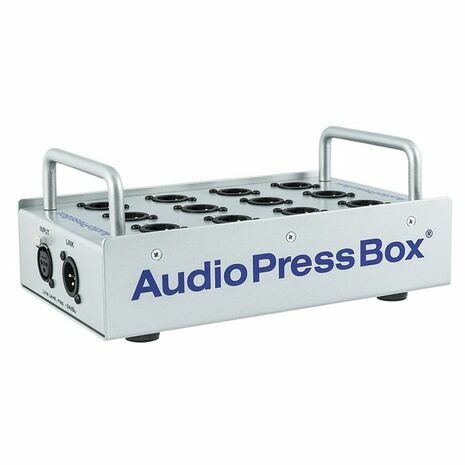 It can be fed directly by a mixing console. Source: Balanced Line Output of professional audio equipment. 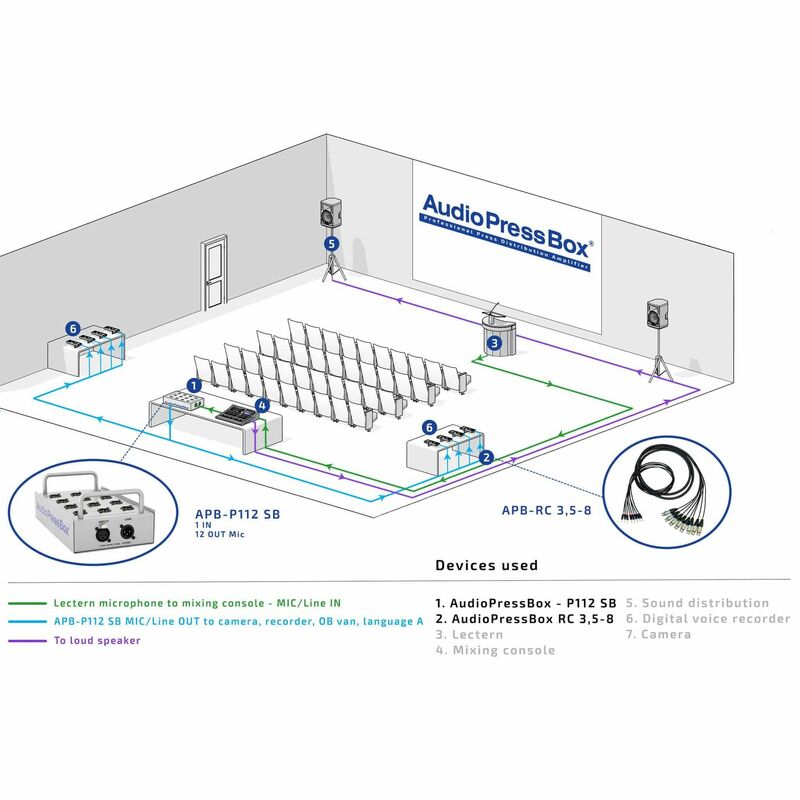 Note: Source: Balanced Line Output of professional audio equipment.